The LS2 OF567 open face motorcycle helmet is perfect for when the sun is shining and you want to feel the warm breeze on your face. The design is simple and straightforward. Its shell is made from Tricomposite fiberglass. It has two adjustable air vents on the forehead so you can control just how much air you want. The comfort liner is removable and washable, (always hand wash and air dry liners), as well as bacteria and odor resistant. 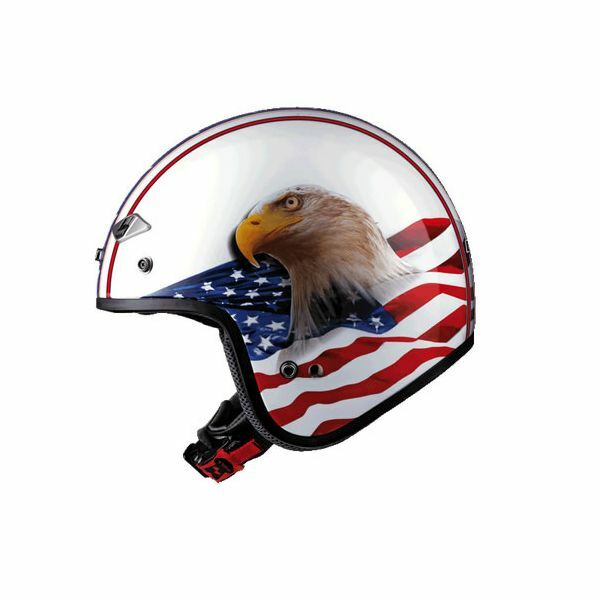 This is a great helmet for around town, riding the back roads or hitting the open road. Includes a removable 3-snap peak to help keep the sun out of your eyes, and a quick release chinstrap for easy on and off. DOT approved. Covered by a 5-year limited warranty against defects in material and workmanship. 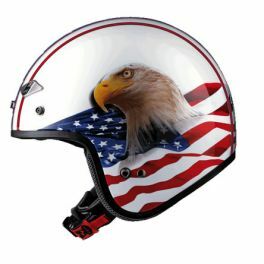 ¾, open face helmet design for the ultimate sense of freedom. High quality, Tricomposite fiberglass shell. Chinstrap has a quick release buck for easy on and off. Adjustable forehead vents for additional ventilation.